The video data firm Samba TV is integrating its attribution solution into the Google Marketing Platform. The partnership will allow TV networks, content owners and programmers to measure lift in TV tune-in based on ads purchased and viewed on YouTube, Display & Video 360, and other products in the Google Marketing Platform portfolio. “The combinations are pretty powerful when you can measure them, using Google platforms to measure ads for shows consumers mostly watch on offline platforms like cable or broadcast TV,” Navin adds. Samba TV utilizes a weighted data set of 20 million households that use the company’s content recommendation engine. 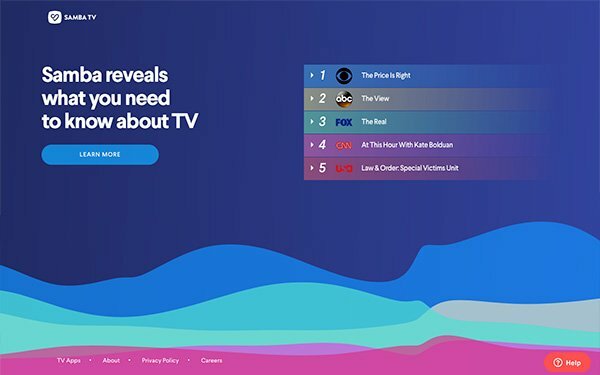 The data can be connected to ad viewership through Google. The Google partnership means the company can now draw a line between a pre-roll ad that runs on YouTube promoting a new TV show, and a consumer watching the show at a later time. For Google, the Samba TV integration also provides attribution data to a key subset of marketers: TV networks and content producers. While a CPG company wants to drive a purchase, a TV network wants to drive tune-in. “Having a clear view of measurement against such a critical performance indicator like tune-in conversion has been a game changer for our brands. It allows Turner to refine our media tactics and make strategic pivots into our best-performing audiences,” stated Marie Hughes, senior vice president, strategic media planning for Turner Media Group. Navin says the results can be used to optimize a campaign while it is still active and help answer other questions around campaigns. “Some of the hard questions to answer in this category are: When should we start promoting shows? When should we deploy through programmatic versus through YouTube and search?’” Navin asks.